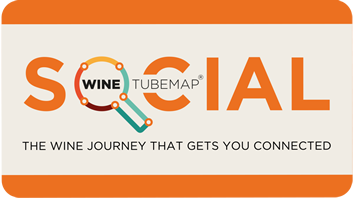 Welcome to the WineTubeMap, the easy way to explore the wine shelves without the risk of getting something you really don’t like. Whether you are new to wine, stuck in a wine rut or a keen explorer, the map can help you find yourself a new tipple. It even works if you are buying a gift for someone if you know what they like. Just pick a wine station that you know, and travel one stop for the most similar wines. Each line represents a different flavour theme, so travel along with confidence! The WineTubeMap is a big wine recommender, to organise wines by flavour so you can explore the wines closest to your favourite station, safe in the knowledge it's not a million miles away from your comfort zone.